What Maria Montessori called the exercises of Practical Life actually help children’s brains develop. With the repetitive movements, the child is learning how to learn. And, in the process, children become confident and independent. Observing young children in the early twentieth century, Montessori understood how a child’s brain develops through movement. She provided children with activities to perfect their seemingly random motions and involve the thinking process. When performing the skills of daily living, an adult sees a chore to be completed while the child loves the process itself. At the same time, the child gains muscle control, improves eye-hand coordination, and activates the brain. Recently, Montessori’s theories have been confirmed by pediatric neuropsychologist Steven Hughes, PhD. In his research at the University of Minnesota, he found that the child’s strongest link to his brain are his hands, noting that repeated motor movements help develop the pathways in the brain that help children learn. Take one item, such as a pair of socks or a t-shirt, and carry it with two hands to place on the low shelf or open drawer in his room. Hang a towel on a low hook and put his toothbrush in its holder. Put clothes in the nearby laundry basket or hamper as he undresses. Remove one spoon at a time from the dishwasher, taking it to the silverware drawer or basket. Fold simple items of laundry such as dish towels or napkins before they are placed in their proper place. Set the table, carrying one placemat to the table at a time, then napkins, and then a spoon on each mat. You will know when her coordination is good enough to add the forks, knives, and plates. Buckle the car seat chest straps, showing how they snap together. Pour dry ingredients like rice or beans from one container to another, in preparation for pouring milk from a small pitcher to a glass. You can watch as your child figures out how to accomplish a new activity by herself. There’s no need to remind or hover, she will know she can ask someone for help if needed. More ideas can be found in the article Let Me Help. As your child develops and grows, he can do more. Continue to be patient, and be certain to demonstrate each new activity slowly and simply. Perform only the necessary movements and separate each individual step. Stay nearby to offer assistance if necessary. Observe; do not correct or interrupt. Young children live in the present – they do not hurry on to the next thing as adults do. Watch your child busy at work, gaining control over the muscular and nervous systems. It is the process itself, not the goal that is involving. Imagine how your child’s brain is making new connections – you can almost see the wheels turning. Your child might repeat the task over and over, fulfilling the inner need for movement that connects brain and hand. It’s amazing! …I believe I was created with a unique potential to love. My work and play are the development and expression of my love towards myself, others, and my environment. Yes it gets messy at times. …I believe I am an amazing soul with a body and a mind. My favorite experiences and relationships captivate all of me. Yes it gets messy at times. …I believe I am an important part of an incredible world. Becoming myself is my life. Yes it gets messy at times. …I believe who I’ve been, who I am, and who I will be…is beautiful! …I’d like a school that respects what I believe. To me, this quote brings out two main thoughts regarding work and belonging. First, work is fundamental to the prepared environment in Montessori. Children often see Montessori work as a game, something fun and challenging that engages their attention to detail. Children are allowed to express themselves through their work because they are allowed the time and space to make their own conclusions. 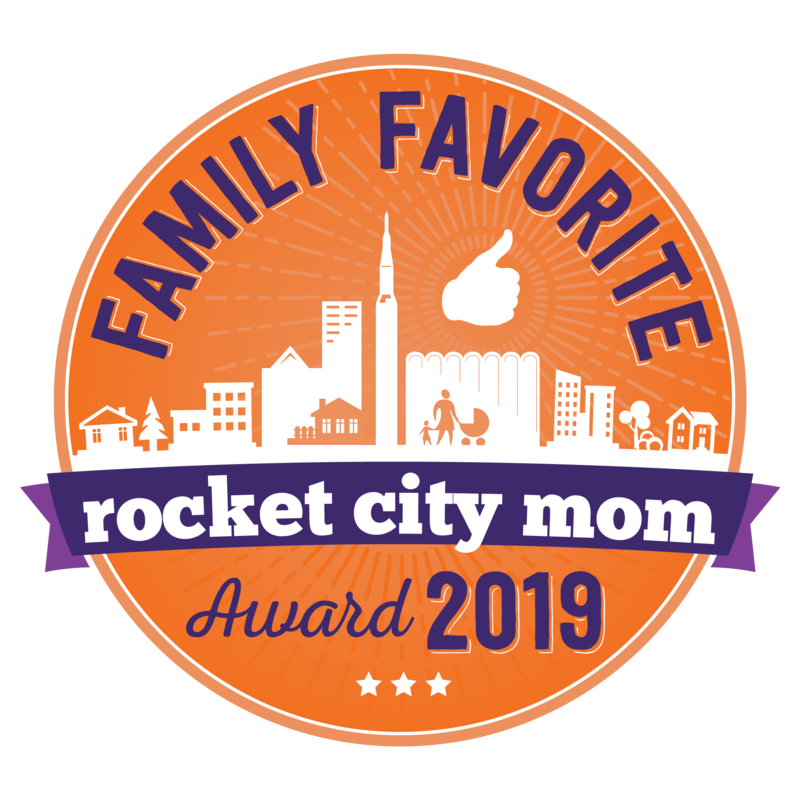 The beauty surrounding a child’s work is the whole process, from being prepared by the directress to the execution of work by the curious child. Secondly, each child belongs. Each child has an individual soul, a beautiful experience unique from all others. If each child feels the way the above poem suggests, we as a Montessori community have achieved our goal: instilling character, curiosity, and purpose into each member. What we believe about children is foundational in our Montessori experience. Not everyone will agree at all times about the most important aspects of Montessori, but we should all acknowledge that a child has a set of established beliefs that has an impact on the way we educate. Monday, September 21, is International Day of Peace. This year,the elementary students will be leading Pennies for Peace. We will have a table set out Monday morning for donations to UNICEF to go toward the Syrian Refugee Crisis. We hope that each child will bring in a penny for peace. We’ll leave out the collection jar throughout the week if you would like to donate. I spoke to the children this morning a little about what was going on in Syria. The children all really wanted to help. Several said that they had some change in their piggy banks that they would love to donate to help provide the refugees with food, water, shelter, and medicine. One student spoke up and said that if refugees came to his house, he would let them stay. This sparked a lot of empathetic conversation and several students commented on how they would let the refugees live with them. They have so much love and compassion in their hearts! The Upper Elementary class is also working on a project for International Day of Peace. The students have visited our classroom and the other classes and read the book, What is Peace, by Etan Boritzer. They also helped all the children to create a really beautiful collective art piece. Look for it on display in the lobby. 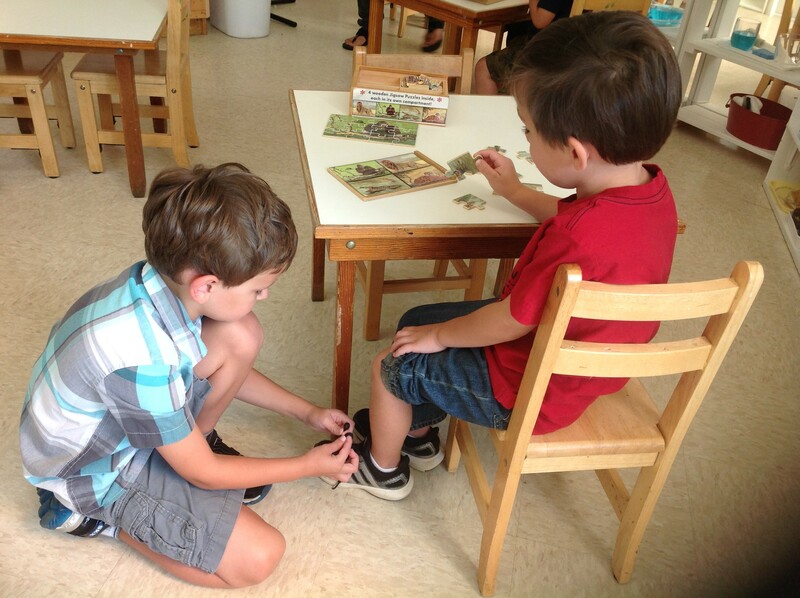 A changing environment conducive for learning is implemented in our classroom. Seating: Seating is arranged in such a way to reduce stress level. Seating locations, materials, location of bathroom etc. can influence the learning outcome. Research shows that well designed chairs can reduce health and cognitive problems. Row seating arrangements are more effective than group seating because it avoids excessive peer-to-peer chatting and waste of time and energy. Some suggestions: provide unattached chairs and movable desks, positioning students in different ways, allow students to stand occasionally and eliminating incorrect posture, etc. Temperature: It has been shown in research that reading comprehension declines if room temperatures become too warm (above 74 degrees Fahrenheit). Classrooms kept between 68 and 72 degrees Fahrenheit are best suited for effective learning. Building design controlling lighting: Our classroom utilizes natural lighting as much as possible. Sources of glare have a negative impact on learning. Reflected sunlight enhances the mood of the students. It has been found in research that students in brightly-lit classrooms perform better compared to students in dimly-lit classrooms. The following principles should be followed: maintain a constant and adequate level of bright lighting in the classroom, maximize exposure to daylight and minimize the exposure to darkened classrooms, hold class outside in the nature occasionally, etc. Noise: Classrooms should be properly designed to reduce noise from echo effect, reverberations and other acoustical problems. Noise levels should not exceed 45 decibels in the daytime and 35 decibels at night. Some suggestions: identify the noise source and take official actions if the noise is a serious problem, use appropriate use of soothing or white-noise or music, etc. – Inspired by Teaching with the Brain in Mind by Eric Jensen. 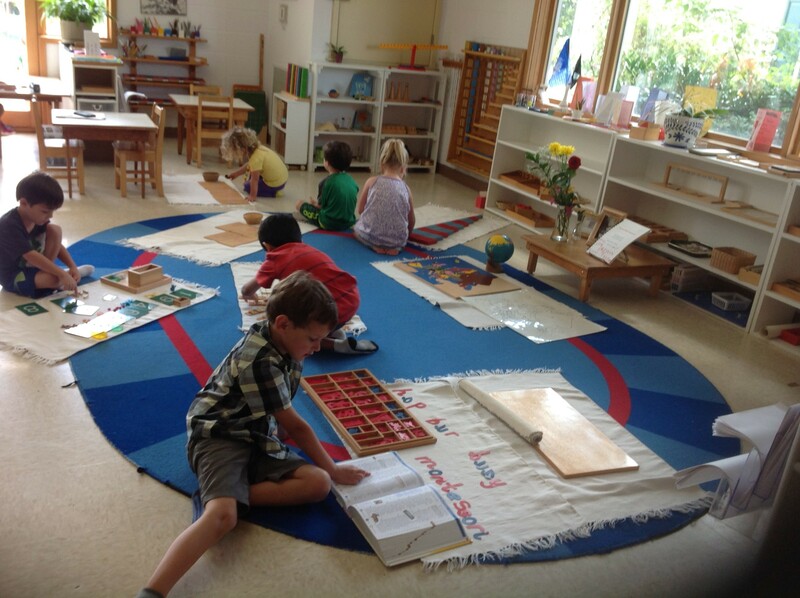 Why a Multi-Age Classroom in Montessori? In a Montessori classroom, multi-age groupings offer a great range in the social, intellectual and learning needs among the group of children. In traditional classroom settings, where children are grouped according a single age or grade, the environment and curricula often reflect the expectation that children’s developmental and academic needs are progressing at the same pace. For this reason, children are often learning the same skill or lesson at the same time. This apparent similarity among the children can create competition to see who can complete the task fastest or who can make fewest mistakes. In a Montessori classroom, there is a variety and range of work occurring simultaneously by different children at different ages. The younger children often watch the older children at work. They see the progression in learning as natural and look forward to being shown more complex and challenging tasks just as they have seen the older children doing. September 16, 2015 2:45 pm | Category: Primary | Comments Off on Why a Multi-Age Classroom in Montessori?